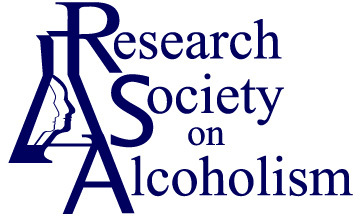 The Research Society on Alcoholism (RSA) was established in 1976 to assist and encourage the application of research to the solution of problems related to alcoholism. Today, the Society serves as a meeting ground for scientists; providing a forum for communication among researchers and promoting the acquisition and dissemination of scientific knowledge in the areas of basic science, risks and resiliency, education and prevention, treatment, outcome and recovery, and policy and economics. The Membership of the Society consists of regular scientific members, postdoctoral fellows, associate members and student members. New memberships are approved four (4) times a year through the RSA Membership Committee. The current membership of over 2,000 is drawn from countries throughout the world, with the majority from the United States. The Annual Scientific Conference provides a meeting place for scientists and clinicians from across the country, and around the world, to interact. It allows a unique opportunity to meet people, doing work in alcohol research, on a personal level. The meeting also gives members and non-members the chance to present their latest findings in alcohol research through abstract and symposia submissions. The format of the meeting consists of plenary presentations, symposia, roundtables and workshops. Lengthy abstract/poster sessions are provided for adequate viewing time. Additionally, RSA's Fetal Alcohol Spectrum Disorder Study Group (FASDSG) holds their meeting/luncheon on the day prior to RSA's official opening. An annual tradition of the meeting is to start with an Opening Reception/Social the night prior to the official opening and have the Banquet/Awards Presentations on the last night of the meeting. All awards are presented to the recipients during the annual meeting. RSA publishes (online - 12 times a year) the scientific journal Alcoholism: Clinical and Experimental Research. The journal provide the most recent findings in the field of alcohol research. Manuscripts may be submitted by any scientist pursuing research dealing with the effects of alcohol or consequences of alcohol ingestion, including studies on treatment, prevention or epidemiology. All manuscripts are thoroughly reviewed to assure that the publications represent the highest standard of science and scholarship. The RSA works closely with NIH institutes to stimulate research initiatives and provide information to RSA members regarding funding trends. The Society maintains an active program of public and legislative interactions; including an active participation in the Congressional budget allocation process for our major federal support agencies such as NIAAA and the Department of Veterans Affairs. RSA standing and Ad Hoc committees work to define new research themes emerging from our annual scientific conferences that may impact on the long term needs and opportunities for our research, including the development of new avenues for medications, special populations vulnerable to the effects of alcohol, and new leads to the genetic, psychosocial or epidemiological pursuit of alcohol related issues. In addition, Society members serve on NIH National Advisory Committees and Institutional Review Groups. RSA and its membership take an active role in providing testimony to Congress on alcohol research and related issues. The Society is working to increase the level of federal funding for alcohol research so that research dollars reflect the magnitude of the problem. Only through research can scientists lead the way toward prevention and treatment of alcoholism.